โต๋ Saksit Vejsupaporn, or ToR+, was influenced by music from a very early age. His father, Nakorn Vejsupaporn, was a prominent figure from the renowned ‘80s Thai pop band Grand Ex, so ToR+ Saksit was no stranger to the Thai music industry. ToR+ started playing piano at the age of three and through the years, his expertise at the keys caught the attention of world-renowned pianist Richard Clayderman, who invited ToR+ to join him on stage when Clayderman played a concert in Bangkok. His star started to shine from that point on, making an impression with various Thai producers, including Boyd Kosiyabong, producer-songwriter and founder of the indie music record label Bakery Music. Boyd asked ToR+ to join his music project called B5 along with four other promising young artists. Under B5, ToR+ released his debut album Event. Over the years, B5 became very popular, releasing numerous albums until ToR+ was ready to branch out as a solo artist. His official solo debut album called ToR+ Living in C Major was released in 2007 and was an immediate hit. Leading the success of the album was the smash hit single “Rak Thur”. ToR+ won the Thailand Favorite Artist Award at the MTV Asia Awards held in Genting, Malaysia. With his momentum in full swing, ToR+ continued the charge with his second studio album ToR+ Munk? to great success. ToR+ started learning Chinese to develop his language skills in order to work with SonyMusic Taiwan. ToR+ continued to release more albums including the instrumental album Piano & I Part III: Yesterday & Everyday, and Where Is Love? From a young boy playing the piano with Richard Clayderman, to a seasoned pianist and singer-songwriter, ToR+ is an inspirational music icon for young artists all over Thailand. With his clean-cut image and humble personality, he has been able to win the hearts of many fans, diverse in age and gender, throughout his career. The second single, “Rak Ching Ching”, was released in early 2016. The upbeat single was different from any of his previous releases and caught the attention of his fans. The third single, “Sak Wan Khong Dai Choe” was a soft, melodic song highly anticipated by Tor+ fans due to the pre-release of its unique short-story music video. Adding another string to his bow, ToR+ has recently been invited to participate in a stage musical called Lom Hai Chai: The Musical. He plays the lead actor’s friend in a role that also allows him to showcase his talent as a pianist. ToR+ flew to Australia to work with Charles Fisher, the Australian producer who has worked with Savage Garden amongst many other successful artists. With Fisher’s help, fans got a more mature look and sound while keeping the playfulness and essence of ToR+. The album’s first single “Fark Ma Kab Duang Dao” was a piece of contemporary pop with a slightly heavier feel than most of his previous songs. “When we were working in Australia, Po (Po Posayanukul, a producer-songwriter who's been behind the success of many artists including Slot Machine, 60 Miles and Better Weather, and is also credited as an important part of Bodyslam’s past successes) suggested using more synthesizer than piano on the song. I liked the idea, so I played it to Charles and he loved it. He felt it was the perfect song to open the album. Internationally, ToR+ was invited to perform at The 11th KKBox Music Awards in Taiwan (2016). He also performed “Fark Ma Kab Duang Dao” adapted with Chinese lyrics, much to the delight of his many Taiwanese fans. ToR+ was also a guest at the Kamen Rider Girls Mini Concert in Bangkok in July 2016. The concert also featured “Just You and Me”, a song they collaborated on together which ToR+ composed as the Kamen Rider theme song. 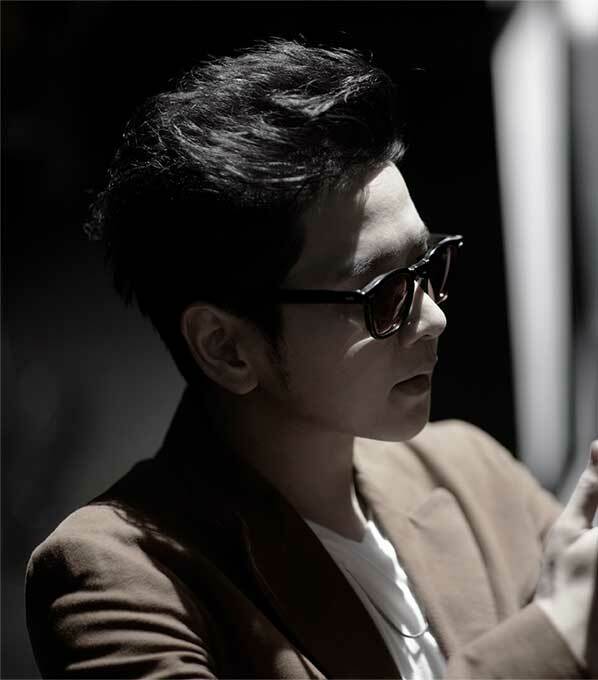 To further his international career, ToR+ has recorded a duet with Sony Music China star, Joshua Jin. The song, written by ToR+, is called “Waiting For Love (等等愛)” and has been released by Sony Music China on July 4th, 2017. ToR+ also performed the duet with Joshua at the official showcase in Beijing, to launch Joshua’s album. He recently released a solo single with SME China called “Promised Journey (約定旅程)”. ToR+ released his second solo single with SME China in November 2017. The song is called “Closer To Your Heart”. During a recent songwriting camp at Karma Studios in Thailand, ToR+ co-wrote a beautiful ballad entitled “Falling Into You”, which he has recorded in English, with Ivory Music Philippines star, Maja Salvador. ToR+ also recorded “Falling Into You” in Chinese language, with the “Voice of China” star Rose Liu. On March 31st , ToR+ was invited to perform at The Season of Colour Music, Cotai Arena in Macao alongside top Taiwan and Hong Kong artists. He performed “Closer To Your Heart (住進你心裡)” an upbeat single released by Sony Music China on November 24th, 2017. ToR+ released his third solo single in Mandarin, called “Give U My Heart (自然愛)” on June 29th , by Sony Music in China, Hong Kong, Taiwan and Malaysia. ToR+ wrote the song and plays acoustic guitar on this track.